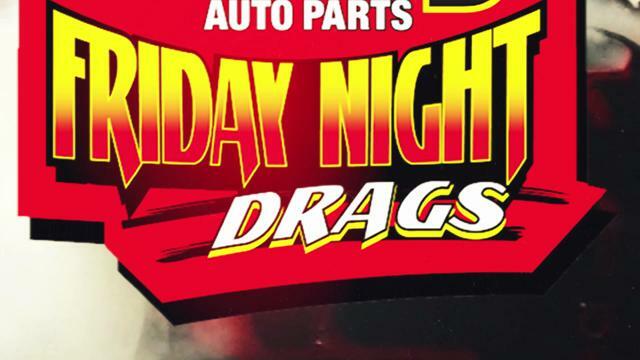 TitleThe 2019 Friday Night Drags Season is Coming! Drag racing action is open to any automobile and any driver possessing a valid driver's license. In addition to the on-track drag racing action, a Show-N-Shine car show also takes place each Friday night. All vehicles are welcome to enter and awards will be given for the top-three finishers in each class. Fans are reminded of the no smoking policy at O'Reilly Auto Parts Friday Night Drags & Show-N-Shine. Smoking is not allowed in the grandstands. Smoking is permitted in designated areas behind the grandstands as well as the infield. Spectator entry for O'Reilly Auto Parts Friday Night Drags is just $10. Competitors pay $20 to drag race or enter the Show-N-Shine, or a combo-ticket to enter both can be purchased for $30. Outside parking is free or fans can park on the Speedway's Infield for close proximity to the action for just $20. Motorcycle parking is free on the Infield. Cards are accepted for payment at the ticket window. Payment at the main infield tunnel is cash only. Pit gates open at 6:00 p.m. for competitors and grandstand gates open at 6:30 p.m. for fans. Show-N-Shine entries are accepted until 7:15 p.m. and a mandatory drivers meeting will begin at 7:30 p.m. The drag Tech Area will open at 6:00 p.m. and practice runs begin at 6:15 p.m. and run through 8 p.m. Drag racing eliminations begin at approximately 9:09 p.m. and follow O'Reilly Auto Parts Friday Night Drags' nightly Opening Ceremonies. Please note, no minors are allowed in the pre-stage/grid area or winner's lanes and only the driver and one crew member are allowed in winner's lanes. For the Show-N-Shine car show, judging begins at 6:30 p.m. Entrants are invited to participate in a Show-N-Shine Speedway Cruise around Atlanta's 1.54-mile quad oval track at 8:20 p.m., but are encouraged to return to their vehicles before 8:00 p.m. to stage for the Cruise. Following the Cruise, the Show-N-Shine Awards Ceremony will take place at 8:55 p.m. on the Speedway's frontstretch in front of thousands of racing fans.